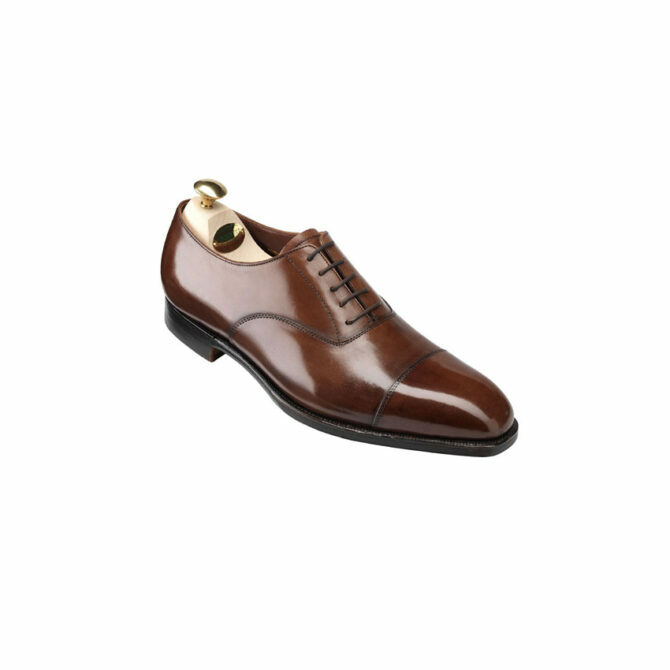 The Crockett and Jones Audley Dark Brown is an antique calf oxford toe cap. This shoe comes from Crockett & Jones' hand grade collection, uppers are cut from the finest quality calf skins. They have a rich depth of colour produced by extensive hand polishing. Natural bark tanned soles for strength and durability. Audley, one of the best selling original classics from the Hand Grade collection, is a straight-cap Oxford. Made from the finest calf leather and bark tanned single leather soles. 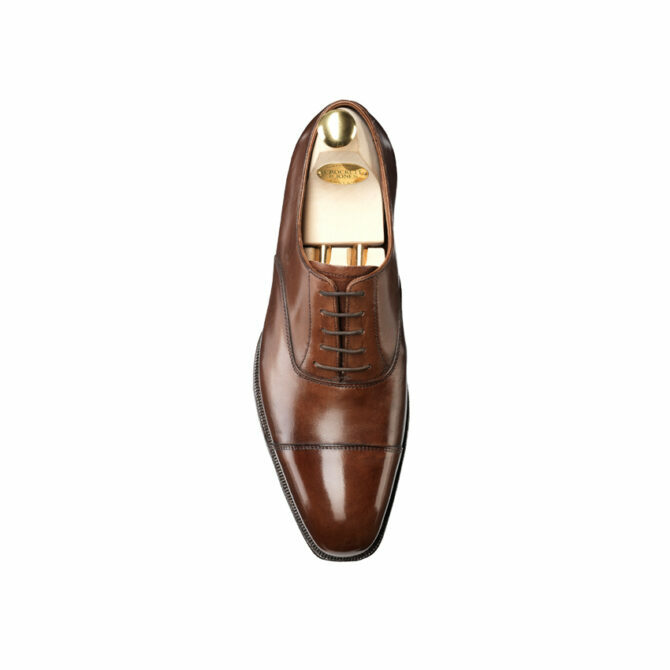 This shoe comes from Crockett & Jones’ hand grade collection, uppers are cut from the finest quality calf skins. They have a rich depth of colour produced by extensive hand polishing.